Just as during the German invasions of 1914 and 1940, war, it seems, is coming to France through Belgium. If one follows the logic of the statements of various French political leaders since the bloody attacks in Paris on November 13, Belgium has become the base from which Islamic State has brought the conflicts of the Middle East to the streets of Paris. There is much about that logic that would not withstand serious analysis. France has grown many of its problems within its own suburbs. And groups committed to armed action, from the Resistance movements of World War II to the Basque nationalist groups of the 1980s and 1990s, have often found it expedient to use neighbouring territories as a base from which to launch their operations. That said, the French authorities have a case. Molenbeek – an urban commune on the north-western edges of Brussels – is unlikely to feature any time soon on tourist-bus tours of historic Brussels. Though it lies only a couple of kilometres from the Grand Place and the Manneken Pis, and a mere taxi ride from European Commission president Jean-Claude Juncker’s office, Molenbeek is another world. This inner-city area, now on the front pages of newspapers across Europe, is deprived of funds, social cohesion and effective government. Former residents have left for more prosperous suburbs on the outskirts of Brussels. In their place, a fractured community has emerged. Those who carried out the gun attacks in Paris allegedly found convenient anonymity there as well as access to weaponry and the support of like-minded radicalised Islamic militants. It was not always so. Molenbeek was, only 20 years ago, a Socialist bastion of working-class Brussels. It is francophone for the most part, but composed predominantly of people who, a couple of generations earlier, had arrived as Dutch-speaking migrants from Flanders. Times, however, have changed. Its former football team, FC Brussels, has slipped into the third division – and, in the last communal elections, the Socialists, who controlled the commune for decades under the leadership of leading Brussels political figure Philippe Moureaux, finally lost control amid a multitude of accusations of institutionalised corruption. The present mayor, Françoise Schepmans, is an implausibly middle-class Liberal, who presides over a commune which is indisputably broke, but also broken. The combined impact of urban decline, social exodus and the remorseless development of Brussels as a city that exists to service a rootless international elite has found its mirror in the transformation of Molenbeek into a commune composed in large part of short-term migrant workers, drawn from a vast array of cultural backgrounds, united only by their limited engagement with somewhere called Belgium. All of this is a step beyond what Europeans have become accustomed to think of as multiculturalism. Brussels has long been a multicultural city, and especially so since the arrival of substantial communities of North African, Turkish and Central African migrants in the 1960s and 1970s. But Molenbeek, in common with some of the other inner-city districts of Brussels, has become a micro-world of multiple communities within which people construct their own sense of identity. Much of this is the product of the contemporary tides of globalisation. What is true of Molenbeek would be equally true of areas of London and Paris. But what is specifically Belgian about this story is the state of Belgium. Belgium has many virtues as a political community. It has provided a model of how the decline of national loyalties need not be accompanied by mass mobilisation and political violence. But the radical devolution of central power that has occurred since the 1980s has emptied the Belgian federal institutions of much of their former power. Their responsibilities have gradually been devolved to a complex structure of regions and linguistic communities. That is a contemporary story of the decline of centralising nationalism. But, as current events have served to reveal, that has also resulted in the erosion of public institutions. Molenbeek lacks not only resources but also the support provided by an effective state authority. As one of 19 largely independent communes of the city of Brussels, its public officials, who are confronted by all of the problems of an inner-city suburb, lack the ability to provide effective schooling, social services or the public structures which might generate the ties of community. The consequence is a world where the more conventional role of the state has been supplanted by other less formal sources of provision, support and community. It also, as we have discovered, lacks much by way of an effective police. 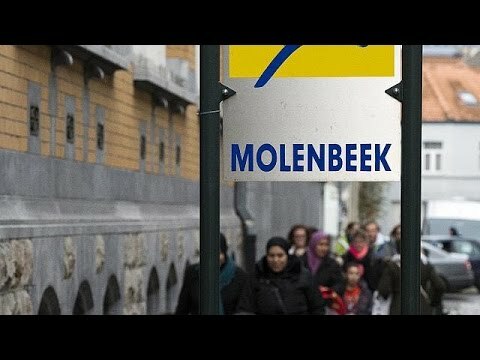 That is not unique to Molenbeek. Ever since the horrific child kidnappings committed by Marc Dutroux and his accomplices in the 1990s, the manifold shortcomings of the Belgian police have hardly been a secret. Too much localism, too many overlapping authorities and too much politicisation of nominations have all diminished the capacity of Belgium’s multiple police forces to rise to more than the most mundane challenges. This, as the events of the past few days have demonstrated, has left Molenbeek vulnerable to gangsterism and opportunistic terrorism. To fix such problems, Belgium, it seems, might have to reinvent itself as a state.